Sasken Technologies Limited, (formerly Sasken Communication Technologies Limited), announced that it has changed its name to Sasken Technologies Limited effective February 14, 2017 to reflect its broad range of services. 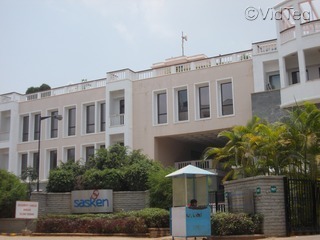 The Company had earlier changed its name from Silicon Automation Systems Limited to Sasken Communication Technologies Limited in 2000 in order to cater to the growing opportunities in the telecommunication space around the world. Today, the nexus of forces such as computing, communications, mobility, cloud, social media and analytics has transformed communications into a core ingredient across all business verticals. Sasken’s expertise therefore now serves businesses ranging from automotive, smart devices and wearables, industrials, enterprises, satellite, and retail, among others. Therefore, Sasken’s new name is a true reflection of its current vast opportunity landscape. Rajiv C. Mody, Chairman, Managing Director and CEO, Sasken Technologies Limited said, “We see a whole new world unfolding in front of us where new services are getting launched which were hitherto unheard of. The key drivers that are making this difference are advances in silicon, embedded systems, cloud computing, and cognitive technologies.